Isle of Man-based Hansard Global is pushing for further penetration into the Latin American market and beyond utilising its new license in the Bahamas to spearhead growth. 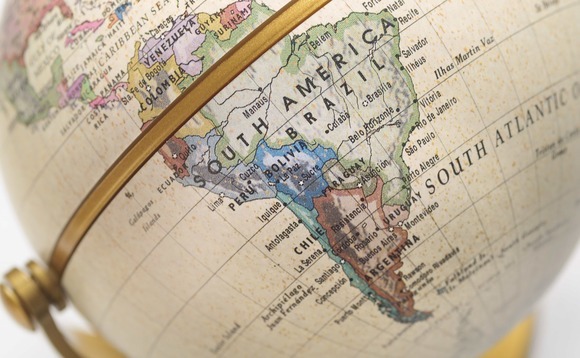 The London Stock Exchange listed company has reported a 36.5% growth in Latin America as a result of “enhanced” relationships with brokers in the region. The company expects even further capitalise the growth in this market with the Bahamas license. “Middle East and Africa are now generating improved sales levels and we plan to use our recently announced license in the Bahamas to support our rapidly growing Latin American and remaining global expatriate business,” Gordon Marr, pictured left, group chief executive, said in a statement. Hansard Worldwide Limited (HWL) was granted an external insurance licence by the Insurance Commission of The Bahamas (ICB) in May, as reported by International Investment. The newly-licenced company will also be responsible for the firm’s remaining global expatriate business. The specialist long-term savings provider registered significant growth in the Middle East and Africa (£40.6m) and Latin America (£18.9m), offset by lower sales in the Far East (£35.4m). The company has also won its largest single case, in Belgium, which had an exposure of £6.5m. “We understand that some or all of the plaintiffs are expected to appeal the decision but are currently awaiting formal notification of their approach,” the company said. In May, Hansard was notified of a new Italian action being brought by a group of contract holders related to illiquid funds. “We have also had a case recently brought against us in Hansard Europe’s home jurisdiction of Ireland with an exposure of £3.2m. This is again related to substantial loss of value from funds advised by independent financial advisors,” the statement read.